LAUSANNE, Switzerland -- The road to WBSC’s 2015 youth baseball world championships – the 2015 U-12 Baseball World Cup and the U-18 Baseball World cup -- have passed the less-than-50-days and less-than-90-days signposts, respectively. The III U-12 Baseball World Cup 2015 is being staged from 24 July to 2 August in Tainan, Taiwan and will feature the National Teams of world No. 1 Japan, defending world champions No. 2 United States No. 3 Cuba, No. 4 Chinese Taipei, No. 8 South Korea, No. 10 Venezuela, No. 12 Mexico, No. 14 Australia, No. 15 Brazil, No. 16 Nicaragua, European champions No. 28 France, and No. 32 Russia. 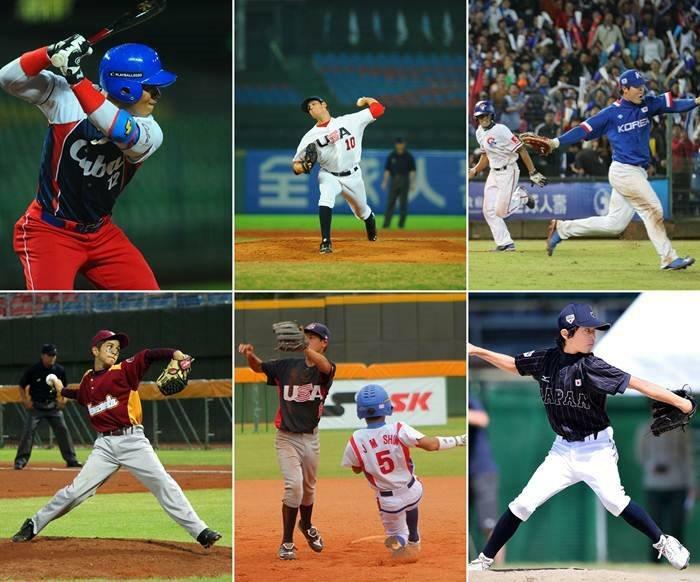 The biannual U-12 Baseball World Cup platform is the only international baseball tournament in this age group to feature National Teams, which are exclusive to WBSC and its Members. The 2013 U-18 Baseball World Cup had a potential broadcast reach of 144 million homes and potential online/mobile reach of 20 million. The WBSC U-18 Baseball World Cup, along with its continental qualifiers, have featured some of the biggest names in the sport, such as Canada's Brett Lawrie, Japan's Yu Darvish, South Korea's Shin-soo Choo, Cuba's Yasiel Puig and Aroldis Chapman, and USA's Clayton Kershaw, Bryce Harper, Manny Machado, Buster Posey, Andrew McCutchen, among countless others.